Haven't you always wanted to predict the weather? Now you can -- well, sort of. Here you'll find reviews of the most popular weather tools and apps, tips for determining the air quality where you live, and how to track hurricanes and other weather events. You can predict the weather without a forecast if you know what signs to look for in the sky and things going on around you. Here’s how to use Mother Nature’s signs to forecast weather yourself! To see what the weather was like on ANY day in history, use this free online tool called Today in Weather History. Have fun exploring dates that have special meaning to you! Here’s how to get a good local weather forecast. It works for me! Plus, tips for forecasting weather yourself… it’s fun! Following are some fun website tools to enhance your blog with weather trackers, weather widgets, and other weather gadgets. Want to show the local forecast on your blog? You’ll want one of these! Want to customize it too? Check here first. Thanks to today’s weather forecasting, it’s now possible to predict and determine pollen count, allergy trends, as well as when & where budding plant activity will likely create breathing difficulties. Here are some of the best online tools for monitoring pollen count and allergens across the country. Computer Weather Tools For Monitoring The Weather Online – They’re Fun And They’re Free! Some nifty computer weather tools for your computer so you can stay on top of weather alerts, approaching storms, high and low temperatures, and more! 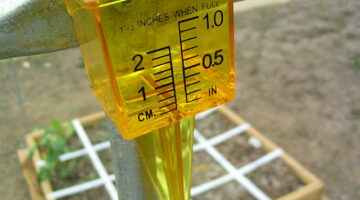 Are you looking for a good and affordable rain gauge. Here’s a look at some of the gauges available here on the web. Do you want to track the big thunderstorms just like the pros? You can using the links found here! You MUST have a NOAA Weather Radio. You simply MUST. Here’s why, plus the best weather radios to choose from. Need a good local forecast? Planning a trip and need to know how to pack? Want to see some nice weather maps? This is your article! 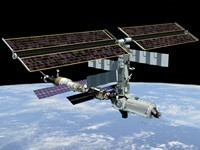 On clear nights, the International Space Station is often visible to the naked eye. Follow the step by step directions in this story to watch humans in space!